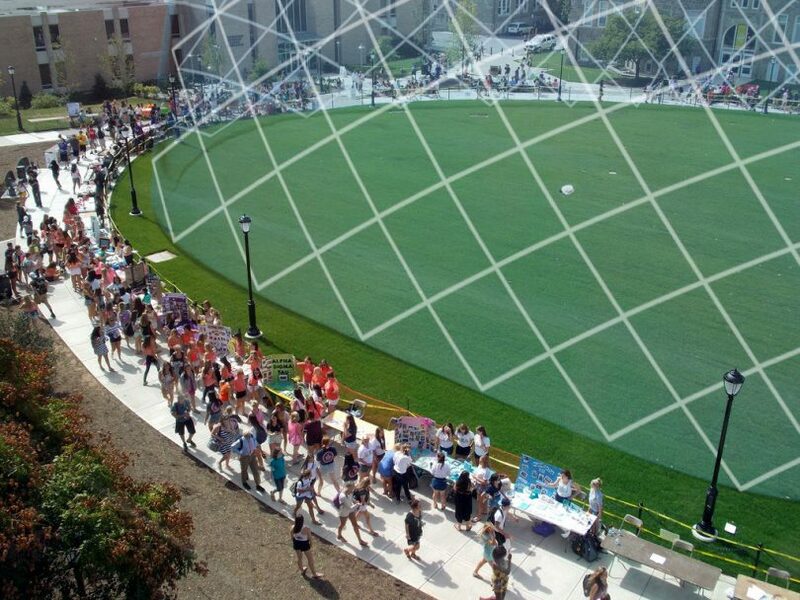 Just a few days after Temple University’s Mumps outbreak reached over 100 cases, Dr. Davenport announced the newest plan to keep West Chester University’s campus safe and healthy: a giant, mandatory quarantine bubble. Student reaction has been mixed, according to our reports. “I mean, on one hand, it seems like it breaks some human rights, but on the other hand, Matthew 24 will have to go in there now,” said Susan McCormick, third-year nursing education major. “I kind of want to live on the quad. Where can I get mumps?” Asked Tristan Preston, second-year health science major with a minor in nutrition. Plans are in the works to construct a second bubble on M-Lot, with a third in the dirt hole currently occupying the remnants of D-Lot in the future. As for the Residential Quad, the Office of Sustainability has announced a new plan for innovative quarantine bubbles. “Starting on Earth Day, we will be offering bubbles with built-in mouse wheels,” said Dr. Bradley Flamm, director of the Office of Sustainability and creator of the mouse-wheel housing plan. “These mouse wheels will help power the university, and keep us in line with our 2025 sustainibility plan.” All students who enlist to join the mouse wheel division will be offered a $200 scholarship for the academic year. Not to be outdone, USH has officially announced individualized bubble suites, complete with air conditioning units and public safety patrols after 8 p.m. for each bubble. Details are forthcoming on the bubbles; for more information, please email CFiorentino@wcupa.edu. This article is a part of The Quak, our annual April Fool’s satire issue.